I was finally able to get some new goodies from Stampin'Up and organize a holiday card class. What: We'll be making a total of three holiday cards featuring a lot of dry embossing and you will finally learn how to make those amazing shaker cards. These are not your normal easy cards...they do require some patience and skill but they are well worth it and at the end you will learn how to make cards stand out. Just wanted to wish you all a very happy and healthy 2015!!! I am starting to teach private classes as well as some local classes and workshops. Here's the first series of classes "Birthday Bash Cards" Class. I know...going crazy with the postings but I know it will be quiet here for a little while after today since the kiddos will be home for the holidays. Tomorrow is Christmas and I am a believer...of Jesus Christ that is and feel so blessed to have the Savior in my life. Wishing you all believers and non-believers a very Happy Holiday!!! I had a ton of fun creating this one. The front cover was made with gelatos and stencils. The deer is a digital brush from Stampin'up and cut out with the Silhouette cameo. The embossed snowflake is from Stampin'Up and the joy die cut is from Lawn Fawn. Oh and I know it doesn't show on these pics but the cardstock behind the deer is a gorgeous woodgrain white cardstock. Also used my zutter to distress edges of my panels. Oh, and I have to thank my dear friend Melissa Williamson (who I miss very much since their move to TX) from Mella Bella Photography for taking our treasured family photo (which I also transferred into a big photo canvas). This is another card I made with the photopolymer stamp set from Stampin'Up titled "Show & Tell #2". I also included another stamp set from my very favorite new hostess stamp set in the Stampin'Up 2013-2014 idea book & catalog titled Postage Collection. Here's a card I made using the clear photopolymer stamp set from Stampin'Up titled "Show & Tell 2". I love this stamp set and I love how the Stampin'Up inks take so well to it. My 8 year old daughter loves this stamp set and says she likes that she can easily stamp with it since she can see right where she is stamping. Here's a very simple Valentine card I made for my hubby. Will try to get going again with my blog...life around me has gotten really busy and the little time I have when I am not working or crafting, I spend documenting my life rather than posting but I think that after this month, I should have that little extra time to actually post...let's hope! So now that we finally have signed our P&S for the new home, I feel like I can breathe a little easier. June came and went in a whirlwind...too much in too short of a time and I am a bit tired now. I have been able to play a bit in my studio this past week and taking a little break while my kids are in summer camp. I finished a big birthday project for my daughter which I will post photos of in a few days and I made thank you cards for some wonderful friends that helped out in making my daughter's baptism really beautiful and special. Here are some pics I took of my thank you cards before mailing them out today. I asked my friend Melissa to take photos of this special event and she took wonderful pics one of which is the one you see on this photo card (I cropped it to fit the card). She has her own photography business and you can access it here at MellaBella Photography . This really happy card is from Adriana Benitez...she used one of my favorite stamp sets from the Occasions Mini called Send Me Soaring. And this one if from one of my dear friends and Stampin'Up demonstrators, Amy Corr, who lives nearby. She does not have a blog yet but I am trying to find some time to help her out in creating one since she has so much talent and she really needs to share it with everyone. This beautiful card is from a talented Stampin'Up demo named Mariam Garcia. Ok...so during our e-mails back and forth, we found out we used to be neighbors back in California...seriously from the same town... and we never even met...sometimes life is not fair!!! The above card was created by Julie Ramos. Don't you just love the embossed border and that adorable blue rose? Can you tell most of us love this new stamp set? It's called Nature Walk and it is so easy to create vintage cards with it. This delicate card was created by Monika Davis. Miss me?...just taking time to organize and keep focusing on creating more for you all.. I received wonderful swaps in these past few weeks featuring products of the brand new Occasions Mini that just came out yesterday. To see the full color catalog just go to my side bar and find the catalog blinkie. To see all the products in this catalog you may click HERE to get to the online store. This amazingly creative card is by a dear friend of mine and Stampin'Up demonstrator Amy Corr. The balloon is actually made from the Blossom Petals Punch and using the new glimmer paper. How stinkin' cute is this? Amy needs to create her own blog and I am going to try to find some free time soon to help her out so you can have the opportunity to see more of her amazing work. Doesn't this card make you want to go and reach out for the nearest chocolate? Seriously...so yummy!!! This card is made by another talented Stampin'Up demonstrator, Holly Endress and she is featuring the new Eat Chocolate stamp set. Love these colors!!! Will be posting more swaps in the next few days so keep on checking here from time to time this week!!! Sorry for being away for a while but I managed to finish making the final homemade gifts this afternoon and I really needed to get those done. I don't think I ever posted last year's Christmas card that I sent out to family and friends so I am posting it. And...I did two 2010 Christmas cards this year...one a little bit more time consuming and the other a lot less consuming. This is last year's card. I instantly had fallen in love with the medallion stamp set and knew I had to use it for my cards. This card is meant to be like an ornament and the back has a pocket where we put our traditional family update letter. This is this year's less consuming version using those beautiful Deck The Halls papers and the brand new big label punch and the Welcome Christmas stamp set. This is the more time consuming version of this year's holiday card. Don't you just love that little snowman from the Jolly Old Saint Nick's stamp set? This card is also featuring the gold chunky glitter and the Winter Post stamp set. I am recording a little video tutorial and hoping to post it tomorrow afternoon so be on the lookout for it!!! I really wanted to find some time this week to write at least one post but I was really focused on getting all my holiday cards done....and yes, they are DONE!!! So I had to make this third card before I left for my trip since I will be celebrating nine years married to my hubby on June 20th. 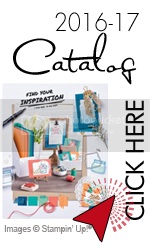 I am so happy I bought my carribean blue inventory before it ran out..which reminds me, if you are sad to see some of the retiring colors go, I suggest you get your cardstock, pads, reinkers sooner than later because some colors are already out of stock at Stampin'Up. Father's Day falls on a different day in Italy but since I basically just follow the American holidays, I have made a card for him as well and this year, I will finally be able to give it to him myself along with a big kiss. I'm getting ready for a month long vacation and I have been more busy at organizing the new place and involved a bit more in my kids' school. Anyhoo...since I will not be having all of my scrappin' and rubber stamping goodies with me in Italy, I have made a couple of cards for some upcoming occasions. Since I know hubby will not be looking at my blog, I think it's safe to share his Father's Day card for the year 2010. Hubby has been learning to play guitar so, after I saw the tutorial to make this guitar with our punches from the very talented Rachel Capps HERE, I decided to make this card. I am sure going to miss our Bermuda Bay and Crushed Curry colors. Did you guys miss me? Well, here's the deal...we need to move out of our beautiful rental house in Wayland, MA because the owner has decided to put it up for sale. Hubby and I have been spending every weekend and a few weekdays for two full months looking for a new place. Trust me the winter season is not a good time to look for anything. Anyhoo, we finally signed a lease this past Saturday and I am finally able to sleep at night. Needless to say, I have to admit that I am tired and that this will be our third move in less than a year. I will be MIA from this blog often in the next few months. I did want to post some pics of the Valentine's Day card I did for my hubby...a few of you who received my Xmas card in 2008 will notice that it's the same design...just different colors and theme. And here is the envelope protecting the card...I was inspired by Heidi Swapp's latest creations and decided to decorate the envelope. I made a heart template and used both the positive and negative of my template to create this. 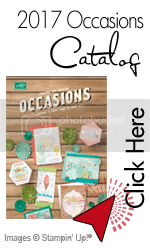 This stamp set can be found in the new Occasions Mini Catalog and is just fabulous!!! Just click HERE or on the two images above to see and order the stamp set. From now until March 31st, every $2 of this stamp set will go to the Haitian people and help them recover from their tragedy. I hope you will take the opportunity to support this great program and this great cause!!! For those of you who are a bit unsure of what cards to make this year for the holidays..here's some eye candy for you. This card was sent out last year to my family and friends. Used the Basic Gray/Real Red/Whisper White combo to give a very modern look. Used my Stars # 2 Bigz Die to get the big star. As you can see, the little envelope in the center panel held a letter which my husband likes to write every year summarizing our adventures and updating everyone. He's the creative writer in the family. So starts the time of the Christmas season!!! Here's a card I made using the Platinum Shimmer Paint and the Petals-A-Plenty Textured Impressions Folder. Used my brilliant blue cardstock..it has been just sitting there forever waiting for me to pick it up...it had been so long!!! Other cool supplies used: Pretties Kit, Metallic Eyelets, Basic Grey Taffeta Ribbon. I made this card a little while ago using my newly purchased Lattice Bigz Die. I almost never use the color purple in any of my projects but I wanted to step out of my comfort zone and this is what I came up with. I am super busy lately and I have a million things to do today so I am skipping the supply list for this project but if you would like to know the supplies for this card, just shoot me an e-mail or comment directly here and ask me and I will provide the complete supply list. Here's a sneek peek of amazing things to come in the new HOLIDAY MINI that will debut tomorrow. I actually made this card for an invitation-only swap. It was a lot of fun to make it!!! What is a shoebox swap? It's a swap of any project where all materials are placed in a shoebox or any other type of box...participants meet and make each other's projects. That is exactly what I did with 5 other amazing and wonderful Stampin'Up demonstrators last week. We met at my place and we all ended up making 5 other cards...we learned a few new things from each other and started building friendships. 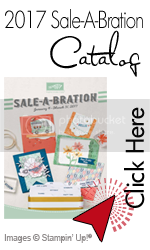 This is one of the biggest reasons why I love Stampin'Up. Here is the card I made the girls do...I hope they all liked it. One participant was not able to make it and will post her card as soon as I receive it. Hope you enjoyed this eye candy today!!! I have had a busy time here with my parents visiting. They just left yesterday and that means I am going to do some catch up on a few things that have been left behind like my BLOG??!!! We have finally begun to see sun and heat here in the North East and I am looking forward to enjoying the short summer. Here's a pic of the thank you notes I have made for Elisa's Birthday guests. The party was fantastic and miraculously the sun came out so we were able to do it as planned in our back yard. Just wanted to follow the same theme and coordinate my thank you cards with the birthday cards. I finally used this gorgeous multi-color satin ribbon a good friend of mine from Japan brought over to me. Stamp sets used were "Pun Fun" and "Short & Sweet". Do you see the new "Modern Label" punch I used over on the top with the Thank You writing? I absolutely love it!!! I have seen people use it in conjuction with the "Word Window" punch. I'll be back on Monday with a few pics of a new mini album I made a little while ago...in the meantime, have a wonderful weekend!!! I have had these invitations done for weeks now but have only had the chance to upload them now. My daughter Elisa will be turning 5 on June 22nd and since we finally have a big back yard we have decided to do our party there...let's just hope it does not rain...it's been raining here all week and I really miss the sunshine.